After going through these topics over the past few months, it’s time to move on to a new chapter regarding a dynamic and vital element in poker: adopting an aggressive poker style. Overall, being aggressive is all about taking control of the table. You want to be the chief and you want to be in control of the action. The good thing is that the more you do that, and the more your opponents will retreat into their shells in order to protect themselves from you. That means that once they decide to get out of that shell, they will become easier for you to read. Let’s say you are sitting at a somewhat passive table, and your opponents allow you to raise 3-4 times per round without much resistance. In silence, they are anxiously waiting for some kind of decent hand to put a stop to your raising streak. So once you finally face a 3-bet, you can be pretty certain that you are facing a genuine hand. It’s happened to all of us at some point hasn’t it? Sitting at a table that is being bullied non-stop by one player, who is playing, betting and raising almost every single hand? It is a situation where you cannot wait to finally hit a good starting hand to re-raise the aggressor and win a pot. But what happens most of the times is that this aggressor will easily let go of his hand, because you are finally out of your shell, indicating to him that you do have a strong hand. That is why being aggressive is the best strategy in poker. You do not want to be the passive player who never raises, never bluffs, and who waits for premium hands to enter a pot. You want to be that aggressive player that everybody hates at the table. That is a winning style! 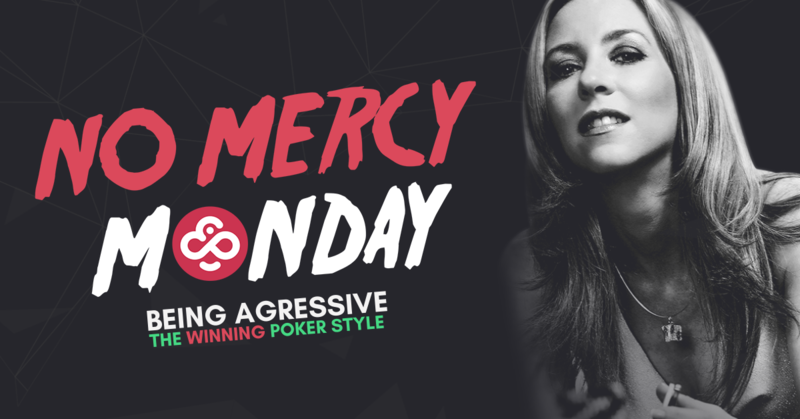 We’ll continue to explore aggressive poker styles next week. In the meantime, don’t forget to join me twice a week in the Hubble Bubble tournaments to practice your skills and try to win my 10,000 CHP bounty!